What Does a Waterless Cloud Look Like? Jud 1:12-13 These are hidden reefs at your love feasts, as they feast with you without fear, shepherds feeding themselves; waterless clouds, swept along by winds; fruitless trees in late autumn, twice dead, uprooted; (13) wild waves of the sea, casting up the foam of their own shame; wandering stars, for whom the gloom of utter darkness has been reserved forever. If we are to do battle with evil in the strength of the Lord, protected by His armor and advancing with His weaponry, then we must be wise in regard to the schemes and lying deceptions of our enemy. How successful is any general if he is ignorant of the enemy general he wars against? Patton, it is thought, read Rommel’s book, and we must carefully read the Book given us by the Lord which exposes the evil one we stand against. Jud 1:4 For certain people have crept in unnoticed who long ago were designated for this condemnation, ungodly people, who pervert the grace of our God into sensuality and deny our only Master and Lord, Jesus Christ. “Unnoticed.” That means that they wear some kind of disguise – wolves in wool – that kind of thing. 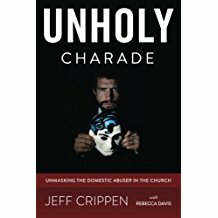 Some of them, as Jude mentions, are all the time talking about “grace.” Grace, grace, grace. But it is a perversion of the grace of Christ because their message is one of presuming upon the Lord’s grace in order to indulge in sensuality and evil. If you want to build a fake “church,” this is a pretty good message to preach. (12) These are hidden reefs at your love feasts, as they feast with you without fear, shepherds feeding themselves; waterless clouds, swept along by winds; fruitless trees in late autumn, twice dead, uprooted; (13) wild waves of the sea, casting up the foam of their own shame; wandering stars, for whom the gloom of utter darkness has been reserved forever. What is a waterless cloud? Scripture is really remarkable! The Lord gives us such incredible insights of wisdom if we will hear them. A cloud, particularly in an arid climate, promises rain. In fact, a cloud by its very composition is water. So what then is a “waterless cloud?” Well, it is something that looks like a cloud, but isn’t. Whatever it is made of, it isn’t water. It is a false hope, an empty promise. The “fruitless tree” is a very similar image. It promises what it never delivers. Waterless clouds and fruitless trees do not deliver because they cannot deliver. Everything they are is a sham. A counterfeit. Completely external with nothing inside that produces water or fruit. In the end, all who look to them will end up hungry and thirsty. Christ gives His true people an internal well of eternally thirst-quenching water. He is, of course, speaking of the Holy Spirit who dwells in Christ’s people. This water is “in him.” A spring that has its source in the Spirit who has given us a new heart, a new mind, and new life. We become, you might say, rain-producing clouds and fruit-bearing trees. This spring of eternal water does not exist in the false Christian. And this is one of the most telling ways that we can identify the counterfeit and avoid being deceived. Think it through. The false teacher, the hypocrite, is incapable of truly feeding our souls. Unlike the Good Shepherd, such a person cannot and does not lead us beside still waters and into green pastures. Our souls are not restored by the fare such people dish out. And the most telling feature of this false diet is it is a mimic. A parasite. A leech. If a person is a waterless cloud, then they are incapable of producing water. The only thing they can do is imitate what they see in others. Many of you have had sad experience with domestic abusers and you know that one of their common tactics is to mirror back to you what they hear or see in others. Their own soul is a black hole and cannot produce real fruit so they watch and imitate. Like a parasitic organism they latch onto this person, that person, then move on to still another, all the while using, using, using what they see in others and parroting it back to us as if it came from them. But it did not. A person such as this cannot bring forth living water from the scriptures. Why? Because the Word of God is spiritually discerned. Anyone who does not have the Spirit of Christ in them necessarily cannot see the truth of scripture. That well springing up to eternal life that Jesus spoke of is completely unknown to them. Often then the waterless cloud will latch onto some current topic, some rising star celebrity, in the attempt to present that outside “water” as if it were their own. Spiritual plagiarists we might appropriately label them. These type can present themselves as remarkably wise theologians, apparent masters of the scriptures, and yet they do not know the Lord at all. Like the Pharisees, they see the “sacrifice” and heavily lay it upon us, but mercy and kindness which are the real point of Scripture, elude them completely. They are tithers of the smallest speck of herbs, but the Lord’s compassion and love they are absolutely blind to. Watch out then for waterless clouds. Don’t be deceived by them. Theirs is a false hope which leads inevitably to a dry and thirsty land scattered with dead men’s bones. ‹ PreviousInsights into Evil from Jeremiah 9:1-9 – Look out!